Call our emergency response team at (919) 467-0880 for immediate help. When planning a major life event such as a wedding, it is nerve-wracking enough to plan and get ready without finding out there might be a delay due to fire damage to the banquet hall where the reception is planned. SERVPRO was contacted just before midnight to mitigate commercial fire damage to a Durham banquet hall. The owner had leased the venue to a 40th birthday party, and although only electric candles were allowed, the patrons had used traditional candles, and a fire had started when a table was pushed too close to a wall and hanging decorative fabrics ignited. 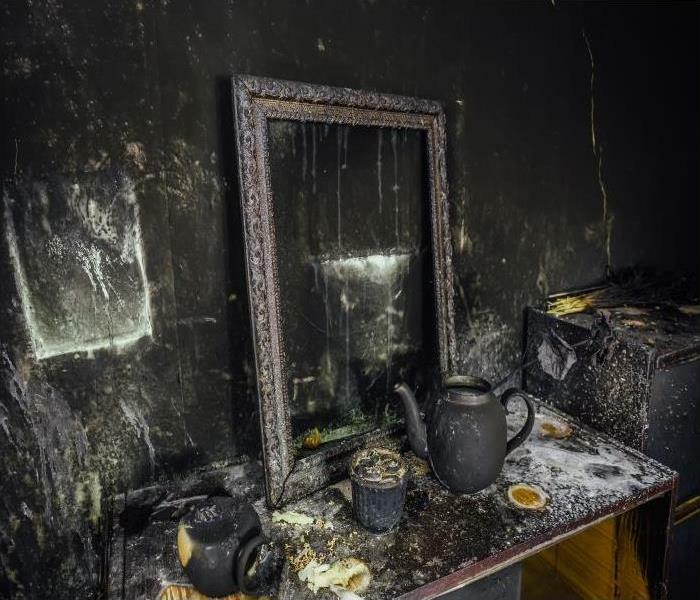 The fire was quickly extinguished, and the fire contained to a single corner of the room, but the charred wall, strong smell and fire extinguisher residue needed to be cleaned before the next scheduled event: a bridal reception dinner. Our emergency response team arrived within hours ready to go to work. We removed the charred sheetrock and debris as they cannot be restored and can cause odor. As a precaution to stop soot and smoke residue cross-contamination, SERVPRO techs set up containment around the area. Fire extinguishers leave a dry, powder-like residue that also has a strong odor. Our technicians removed the fine powder coating the area using handheld vacuums with HEPA filters. The hall owner was concerned about the smell from the fire being noticeable in the room and causing a loss of customers. We used an air scrubber to capture odor-causing particles. Afterward, the technicians wiped down all affected surfaces to neutralize smoke residues and odor. Luckily, the paint on the walls was a high gloss enamel and cleaned quickly. Once done, SERVPRO technicians did a walk through with the owner to ensure we the damage from the fire was restored to his satisfaction and no lingering odors remained. 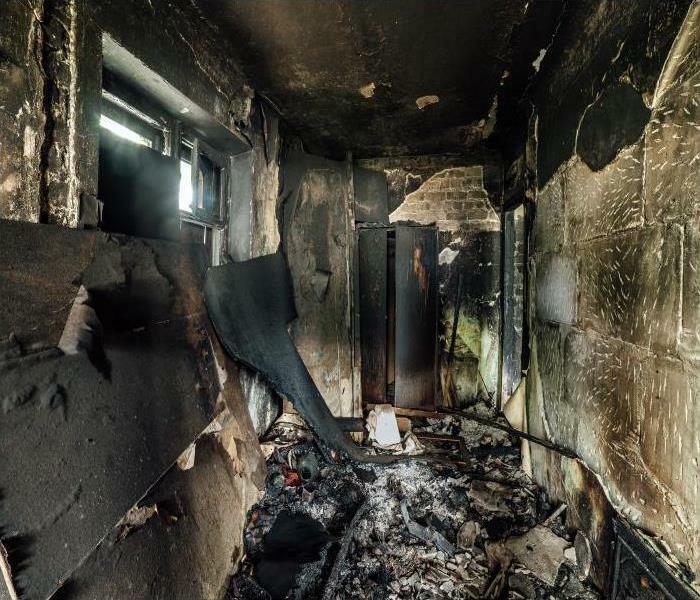 SERVPRO of North Durham knows commercial fire damage can hurt your business and needs professional assistance to turn it around. Call our emergency response team at (919) 467-0880 for immediate help. Click here for more about Durham. After A Fire, Contact Our Crew To Restore Your Home In Durham To Pre-Damage Condition! The sooner you call us at (919) 467-0880 the better, as any settled smoke and soot can continue to create additional damage. Fires are often in the news and are not all that uncommon. To keep your home in Durham safe, there are things you can do to protect you and your family. When you set aside some time to make a plan and go over some fire safety tips with everyone in your home, you can help prevent a disaster before one starts. When you’ve gone through a fire in your Durham home, it is overwhelming, no matter how severe the fire damage is. At SERVPRO, we understand this is a stressful time, and we want to help in any way we can. As a professional remediation company, we can assist you in restoring your home fast so you can get back to life as normal and begin to put the disaster behind you. To help keep you and your family safe, you should start by ensuring that you have enough fire detectors in your home and that they are all working correctly. There are two main types – photoelectric and ionization. The photoelectric fire detectors work to detect a smoldering fire, while the ionization works better to detect flames. Many experts recommend you have both types, but whichever you decide upon, it is a good idea to make sure they are interconnected. When the smoke has settled on your walls and ceilings from a fire, SERVPRO technicians have different procedures we use to clean it up right. For all types of ceilings that have non-grease-based soiling with light-to-medium damage, we use a dry cleaning sponge. It can also be used to pre-clean non-grease-based soils in excess before we wet clean. Wet cleaning is used on metal, painted, or wood ceilings that have heavy dry soot or ash residue or residues which are light-to-heavy and oil-based. Lastly, we can use peroxide active cleaning to clean acoustical or other porous and nonporous ceilings, especially ones which have heavy nicotine and tar soiling. Ceilings that are blown and textured could have their coating dissolved if we treat them with wet, aggressive cleaning procedures, so we use this method instead. An additional thing you should do around your home is look for fire-prone areas throughout your home. A significant step to take is keeping your dryer vent clean. Not only should you clean the lint out each time you dry a load of clothes, but also vacuum out the duct underneath the lint trap regularly for any lint trapped underneath. SERVPRO of North Durham wants to help your family restore your home in Gorman, Rocky Knoll, or Orange Factory after any fire. The sooner you call us at (919) 467-0880 the better, as any settled smoke and soot can continue to create additional damage, so do not hesitate to reach out to us. Plumbing systems are susceptible to clogs, stoppages, and damage. Even a small crack can dump many gallons of water per day on your home. Water pipes in the kitchen or bathroom may break due to temperature fluctuations or wear and tear. Pipes installed in exterior walls or those located in the basement can freeze during the winter and are therefore more susceptible to breakage. Leaking pipes may not cause too much damage if fixed promptly, but burst ones can cause extensive water damage to your Durham home, particularly if you do not turn off the water supply valve quickly. If the water from a faulty pipe soaks into walls, floors, upholstered furniture, paper products, and unfinished wood, it can cause damage worth thousands of dollars. Water intrusion can cause furniture to swell, paint to blister and fungi to appear in your home. A speedy response to a water loss is crucial. It minimizes the damage and prevents the condition from deteriorating further. Our SERVPRO professional technicians can assist you in restoring your home to its preloss condition whenever possible. Our SERVPRO technicians have IICRC certifications arming us with the skills and knowledge required for successful water damage restoration and cleanup. Water damage is never exactly the same in every home. A unique technique and process are required to treat it. Our SERVPRO WRT techs assess the damage before deciding on the most suitable method for restoration. We begin the water removal process promptly to prevent further damage. We use powerful pumps to extract as much water as possible from the affected areas so that we do not have to remove much of it with dehumidifiers. Extracting water physically is 1200 times more efficient than using a dehumidifier. Generally, both devices are needed to ensure that the RH relative humidity of the structure is within acceptable levels of 55% or less. 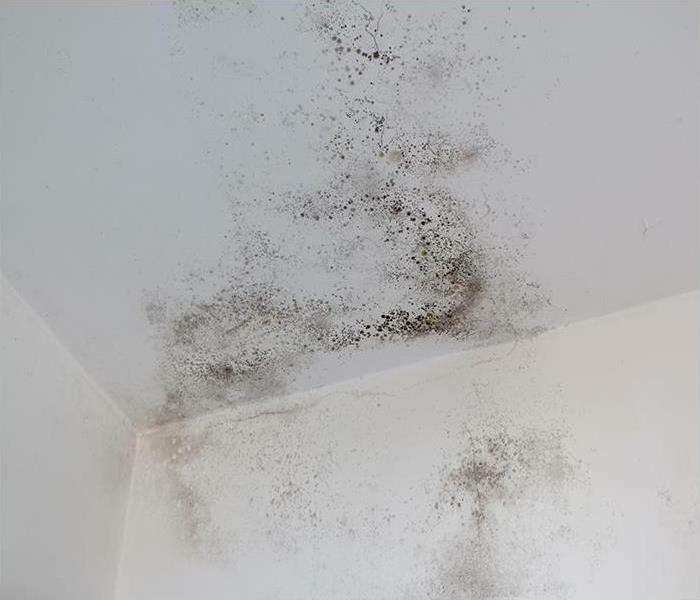 Water vapor can cause secondary water damage to contents and structural elements. Our technicians know how to undertake every step beginning from extraction to drying. Therefore, you can rest assured that your home is in safe hands. We identify and stop the leakage so that the restoration process can be effective. We also use moisture meters and sensors to identify sources of moisture intrusion and hidden residual dampness during the treatment. . Even clean water can create a sour odor on your carpet, furniture, and linens. We can use specialized cleaning techniques to clean items within the affected area. Our technicians can also treat the area with antimicrobial solutions to prevent mold growth. 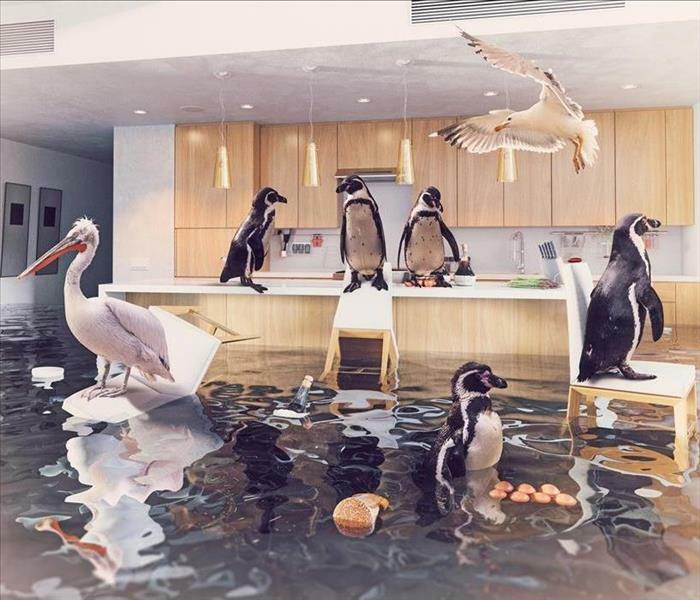 When water damage hits your home, the right company to call is SERVPRO of North Durham. When you call us, we respond fast. Call us 24/7 at (919) 467-0880 for top quality water damage restoration services in Chester and Orange Factory. Water damage happens very easily and can affect any room in your home. There are many causes of water damage, including floods or severe weather, a leaking roof, a damaged appliance, a broken pipe, or water from your garden. Because there are so many ways water can harm your home, at times, it may be impossible to tell which room might be affected. 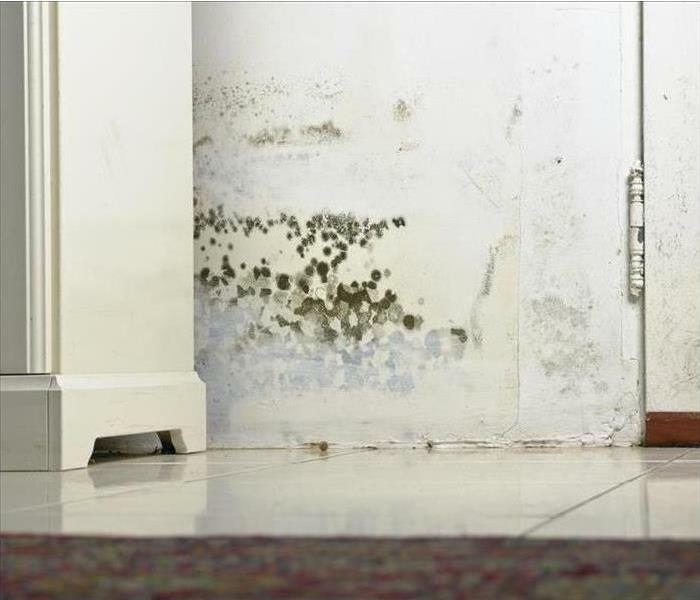 Water can get into any room of your home and cause damage and increased risk of mold growth. No matter where water damage occurs in your Durham home, SERVPRO is on hand to help out. We train our experienced IICRC-certified technicians to deal with a broad range of possible water damage situations. The remedy in every situation begins by removing as much water as possible. We use floor standing and truck mounted pumps and extraction equipment to get the visible water out of your home before drying begins. We tackle problems in your family room or den by using dehumidifiers, air movers, and specialty drying techniques to dry out waterlogged sofas, carpets, and even your favorite easy chair. We test for water under floors to make sure no patch is left wet. If you have a home office full of equipment or vital files and books, do not despair. SERVPRO can liaise with an experienced electronics vendor on your behalf to find out what can be salvaged after a severe water-damaging event. Our technicians can wipe down the casings of electronic devices only. Meanwhile, water damaged files and books are quickly frozen to prevent further damage and then freeze dried using state of the art techniques. These methodologies vary greater, depending on the extent of damage and value of the paper and soft articles and items. We dry kitchen and laundry room floors using air movers and fans, and we use special equipment to test for hidden damp patches behind appliances or cabinets. Dehumidifiers and air movers can be used in any part of your home to encourage evaporation and reduce the amount of moisture present in the air. We monitor the drying situation at all times and use sensitive testing equipment to ensure every corner of your home is dry. No matter where water enters your home, SERVPRO of North Durham is on hand to help. Call us at (919) 467-0880 today for assistance. More info on this city here. Cleanups of the big storage areas in your home are never easy, but some circumstances make the job even more daunting. Uncovering unpleasant surprises like a well-established mold colony are overwhelming, usually bringing the cleanup to a halt. SERVPRO has the highly qualified technicians and cutting edge equipment to take care of a mold problem safely and efficiently. Your basement is your major storage area, and it is time to do some long-delayed sorting. When you pull the last row of boxes out of a corner, you discover a large area of mold damage. Sitting in your Durham kitchen a few minutes later you decide to weigh your options. You hear so many warnings about mold that you choose to call for professional assistance. We are ready to step in to manage the largest home mold problem within hours of your contacting our office. SERVPRO assembles a team of workers trained in the specific protocols developed by the Environmental Protection Agency to respond to your needs. You want the mold gone, but the remediation must be done carefully to industry standards for you and your family’s safety, and the well being of our crew, too. Removal of the source of the moisture and water is crucial to a successful remediation. Our workers don personal protective gear and cordon off the area in the basement where you found mold. We use a negative pressure air scrubber to avoid any particles of the infestation from moving to other areas of your home. Access to your HVAC system should be blocked in the area during our work for the same reason. The next step is to remove the moldy material. This may include some of the boxes if colonies are growing on the cardboard, a favorite food source for the fungi. We stage the moldy items outside, bagged or covered for proper disposal. The foundation surfaces affected receive an antimicrobial treatment with SERVPRO recommended products, and additional debris on the floor and cross beams are removed with HEPA filter equipped vacuums. Resist the temptation to complete the sanitizing step as a do it yourself project or to augment our work with an “insurance” application of a homemade anti-mold solution. In particular, stay away from bleach solutions which merely lighten the color of the mold. Over 90 percent water, a bleach spray soaks into cinder block construction and reactivates mold growth. Mold remediation is a job well done by SERVPRO of North Durham. Give us a call at (919) 467-0880 to arrange for an inspection and development of a plan to remediate your moldy basement. A guide to Durham, NC. Odor control goes a long way after your Durham home has suffered fire damage. Even a small fire in your Durham home leaves behind various types of damage to clean up. You not only have to deal with what the flames burned, but you likely have water from the firefighters who helped put the fire out, and you have smoke and soot damage. It is not wise to leave any of it lingering for long before restoration is started, as more damage continues to occur. Odor control goes a long way after your Durham home has suffered fire damage. At SERVPRO, we have the training and skills necessary to perform odor control thoroughly and correctly so that the smoke odors are no longer present in your home. Various techniques are used in controlling odors. There are multiple phases to an odor control system. The first phase is called containment. Our goal is to block or contain odor molecules from vaporizing back into the air. We spray a chemical deodorizer onto materials causing the odor. The chemical makes a barrier that slows down or stops odor molecules from evaporation off the source material. We directly spray the smoke residues on charred areas with an odor counteractant using a pump-up sprayer. The next phase is vapor control. SERVPRO techs counteract odor particles which became airborne before the spraying for containment. We apply products made to release deodorant vapors into the atmosphere. They counteract the malodor vapors they contact in the air. Vapor control is quite effective in fire damage cases. The last phase of odor control is thermal fogging. We dispense solvent-based deodorants using thermal fogging equipment. They pass through a heated area and are combusted. Combustion breaks the deodorant solution down into very small particles. Because of the small size, the particles can go anywhere the malodor particles are pair with the malodor and neutralize it by changing the chemical composition. Dry fogs quickly penetrate and deodorize because of the small particle size. Most of it evaporates within a few hours. The last thing we do in the fogging procedure is ventilate the treated area. SERVPRO of North Durham can come quickly after your home has suffered a from a fire. We can clean and repair all the damages for residents in the areas of Bahama, Durham, and Gorman, plus deodorize the smoke odors left behind when you give us a call at (919) 467-0880. To learn more about the city of Durham click here. When Your Home In Durham Suffers Foul Odors After A Fire, Our Crew Can Help! No matter the time, our technicians can help you with your fire damage problems. Fire damage can leave many remnants of the flames that burned inside of your home. 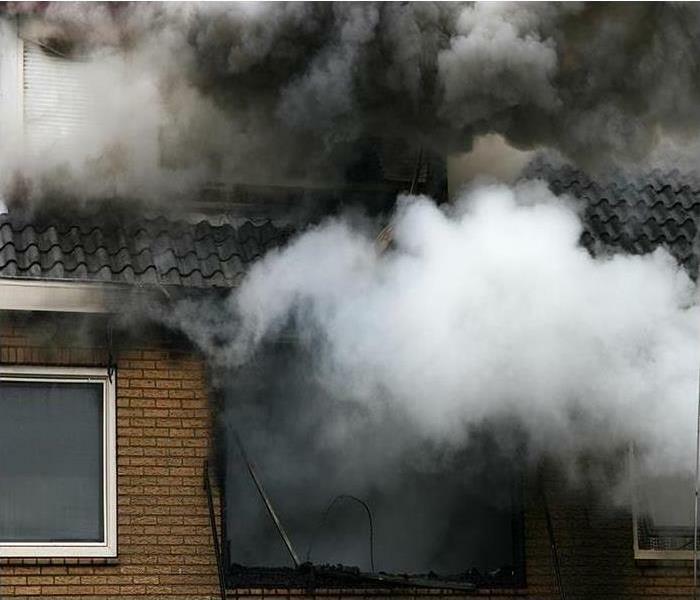 Ash, soot, and smoke are some of the more obvious signs of a fire but, even after all of those symptoms have been removed, the smell can still remain behind. However, it is comforting to know that professional help, which can address all aspects of the fire damage inside of your home, is never far. The fire damage inside of your Durham home happened inside of your bedroom, from an unattended candle. The candle was close enough to a scarf that hung from a wall-mounted rack to catch it on fire and, from the scarf, that fire spread to the numerous accessories hanging from the rack, such as other scarves and hats. By the time you found the fire in your room, it had not done catastrophic damage. However, it did manage to burn most of the articles on the mount, as well as some of the makeup products that had sat on the dresser beneath it, alongside the candle. When you reach out to SERVPRO for help with the damage in your bedroom, we make it a priority to arrive at your home as soon as we can. Once there, we can begin cleaning up the ruined remains of your clothing, as well as the ruined cosmetic products. The wooden clothing mount, the wall itself, and your dresser all had soot stains, but our IICRC-certified SERVPRO techs can clean them. By using a spray-and-wipe technique alongside an effective lubricative cleaning solution, our technicians can chip away at the soot. If fire damage has left a foul smell behind in your home, do not wait. Get in contact with SERVPRO of North Durham by dialing (919) 467-0880. No matter the time, our technicians can help you with your fire damage problems. When you have a water leak call our trained technicians any time day or night. We want to make the restoration process easy on you. Water damage affects not only homes in Durham, but also businesses. Water damage can wreak havoc on your office building, and this type of damage needs to be addressed as soon as you discover the issue. If it is left too long, your building can suffer additional problems such as mold growth. Water damage in your Durham business is a serious matter. It can affect your office’s ability to continue doing business if the disaster is severe enough, so the cleanup needs to begin as soon as possible. SERVPRO is always available to help you get your business back on track so you can run your normal daily operations. You can trust us to do the thorough job you would expect because we have the experience and the expertise need to do so. Leaks and water damage emergencies in your office can destroy or damage computers and networks, make your phone systems inoperative, plus damage other machines like copiers, fax machines, and additional necessary equipment. If any files are stored on site, hard copies may be wiped out, destroying the vital records of the company such as order histories, employee information, and other records. You may even have to shut your office down for some days, which can be financially devastating. SERVPRO technicians realize this, so if it is necessary for the building to close while we restore it for you, we strive to do the job thoroughly but quickly. For any standing water, we use truck-mounted pumps to remove it so we can dry your structure out. Depending on the damage, there may be hidden moisture in the walls or under flooring, so we use moisture sensors to find it. It is essential that we dry all the moisture, so mold does not have a chance to grow. In case of a severe water damage emergency, it is a good idea to have a contingency plan in place. Having a remote location from which to work and having files and records back up lets your company continue to operate until we can clean up the water damage and make the office safe for you and your employees again. SERVPRO of North Durham wants to help you restore your office building in Gorman, Orange Factory, or Chester so you can get back to work. Call us immediately at (919) 467-0880 when you realize there is an issue and we won’t hesitate in getting to you. Durham's Community Voice web page seeks to engage residents by encouraging feedback on major topics, click here for more details. Contact our 24-hour service line any day of the year, to talk to us about how we can help you remediate and prevent mold anywhere in your home. Bathrooms see a lot of activity first thing in the morning as people in Durham get ready for work and school. Once gone for the day, many bathrooms sit empty until someone returns home hours later. During this time, any steam from earlier showers cools and condenses on surfaces. While using the fan in your home's bathroom during the morning shower can remove the majority of the steam, mold damage in Durham can still happen in hidden areas. Because the bathroom typically contains materials that contain more than reasonable amounts of moisture because of their location, our infrared imaging cameras often do not give us new information. To find hidden mold damage, we instead look for traces of discoloration on walls, including tiled areas or tub surrounds. While these materials often come clean with little elbow grease, mold can hide in cracks and along grout lines where most cleaning supplies fail to remove all traces of microbial activity. When grout separates from walls, it can leave gaps that permit water and microbes to enter into the space behind the tile or surround's wall. As the mold's hyphae sink deeper and deeper into any materials, disintegration worsens. Deterioration happens to harder materials, too, including grout, not just to softer things like drywall. The process might take longer to see severe damage, but preventing it helps to protect your property immensely. After we remove the mold growing in these locations, we can treat the area with an antimicrobial spray. Other areas, including along the corners where floors meet the tub or shower stall also succumb to mold regularly. We can clean this area up and treat it, also. Carpets and rugs often become inundated with mold and show such signs as dry rotting and the loss of fibers, which can harm your vacuum. Replacing these with tile flooring often prevents this and can make your bathroom a cleaner, more sanitary environment. Laundering small rugs regularly can still give you that warm cozy feel when stepping out of the tub without the need for carpeting. 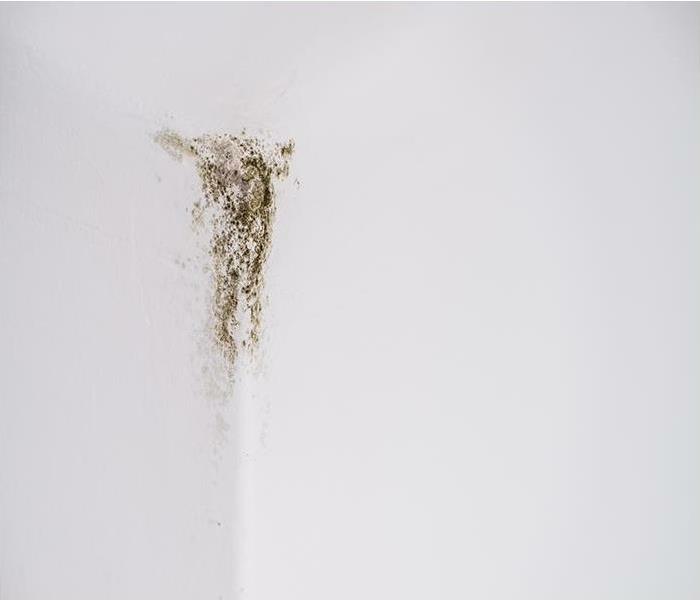 SERVPRO of North Durham can give you pointers on how to prevent mold damage from affecting your bathroom and make it easier for you to keep clean. Contact our 24-hour service line, (919) 467-0880, any day of the year, to talk to us about how we can help you remediate and prevent mold anywhere in your Weaver, Rougemont, or Chester home. Give our SERVPRO of North Durham remediation technicians a call today for fast solutions for colony removal and damage restoration. 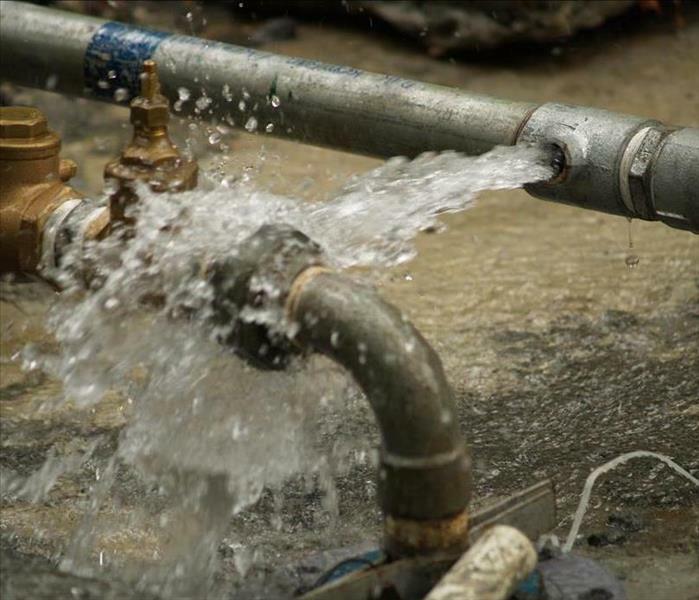 While it can be stressful enough to have a widespread water loss incident that affects your Durham business, the situation could become even more traumatic if these damages do not get restored correctly. Often shop owners choose to handle drying and water cleanup on their own, which can often result in moisture and dampness persisting out of sight. The danger in this scenario is the possibility of secondary effects developing from the continual dampness such as mold and microbial growth. With the need to remain available to your customers and their wants with both your operating hours and the stock that you have, mold damage in your Durham clothing store can pose a significant threat to your business in many ways. The first and most glaring of concerns about mold growth developing in your building is the negative health effects that this could allow to both your staff and those exposed to active colonies that enter your store. When a colony gets discovered, you must close your doors to these customers and employees until our SERVPRO remediation specialists can resolve the situation and restore the damage that the spreading organism has caused. From the time that our experts arrive at your store, you might already have many stock items and articles of clothing that have become exposed to spreading spores and colonization. 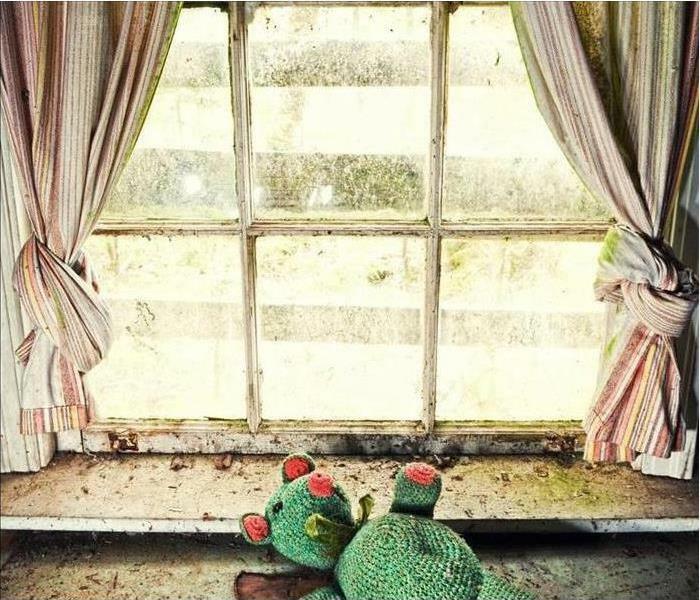 While many of these items might need to get thrown away to help contain the spread of the colonies, our SERVPRO technicians can work to protect unaffected materials and contents by removing them from the area until the remediation work completes. Containment can help the situation from getting out of control and allow our remediation professionals a better opportunity to remove active colonies and restore the sustained damage more efficiently. This process involves setting up both physical plastic sheeting barriers and using our equipment like air scrubbers to thwart spores from reaching unexposed areas of your small shop. Inadequate cleanup of water damage can often result in mold growth, which can threaten both the building and those that enter it. Give our SERVPRO of North Durham remediation technicians a call today for fast solutions for colony removal and damage restoration at (919) 467-0880. 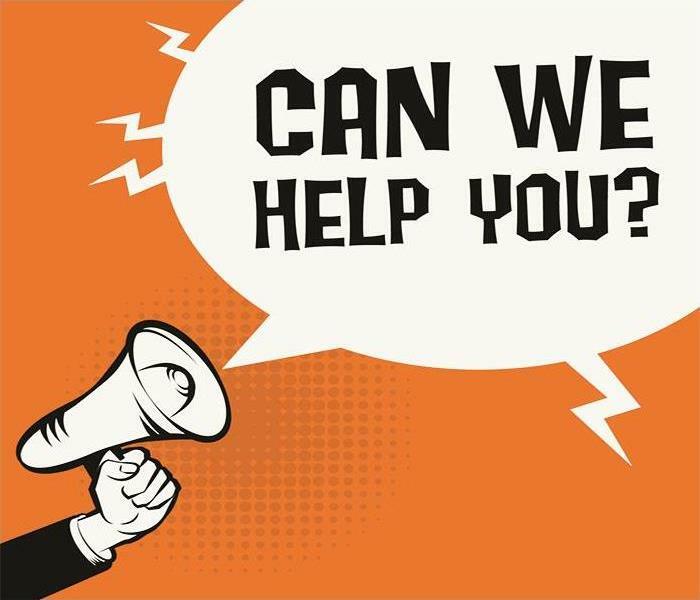 4/9/2019 - After A Fire, Contact Our Crew To Restore Your Home In Durham To Pre-Damage Condition! 3/19/2019 - When Your Home In Durham Suffers Foul Odors After A Fire, Our Crew Can Help!